The 12th codex Calixtinus, an illuminated guide for pilgrims going to the shrine of Compostela in Spain, has been stolen from the cathedral library. Reports suggest that it was a professional job. More at eChurch blog. It sounds as if it was stolen to order and is perhaps now in some private collection. If so, it will reappear. More important is the question of whether the library had photographed it or not. If a set of colour digital photographs exist — and ought to be online — then the loss is less worrying. 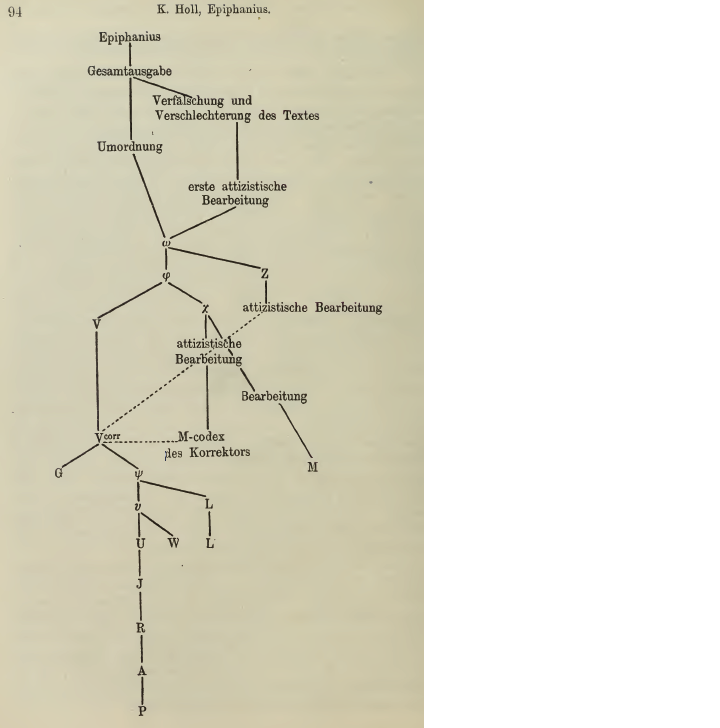 I have now located E. Bratke’s article in Theologisches Literaturblatt 15 (1894), cols.65-67. Here is a translation, with the German at the end. “Rodosto” is also known as Raidestos, modern Tekirdag, and its inhabitants now live in Nea Raidestos, in Greece. I must admit my confidence that any such manuscript as the Eusebius Against Porphyry exists takes quite a dive, once I learn that it is associated with such a mythical being as the 16th century Hegesippus. The latter seems to be a fingerprint for several forged booklists, compiled by some unscrupulous Greek as part of a bait-and-switch scam on Western manuscript hunters. But here’s the article. The fate of the manuscripts in Rodosto near Constantinople. In this journal for 1893, no. 43, Th. Zahn published an interesting article “The Greek Irenaeus and the complete Hegesippus in the 16th and 17th Century” in which he opposed a skeptical remark by A. Harnack [Geschichte der altchristlichen Literatur bis Eusebius, ed. under the direction of E. Preuschen by A. Harnack. Vol. 1. 1893, p. 485] to his earlier assertion that Hegesippus had still existed in manuscript in the 16th century, supported in part by new material. One of his pieces of evidence was something edited by K. Forster [De libris et antiquitatibus manuscriptis Constantinopolitanis Commentatio. Rostochii, 1877] from a Vienna codex, written between 1565-1575, a catalogue of manuscripts which were to be found in that time in and around Constantinople. In this we read, from among many profane and Christian works of literature, housed in the library at Rodosto, a town a few miles west of Byzantium on the sea of Marmara, which in antiquity had the name of Rhaedeste: Ἡγησίππω ἱστορία and Εὐσεβίου τοῦ Παμφίλου κατὰ Πορφυρίου. The possibility that these two, until now, lost jewels of early Christian literature, the 5 books of Ὑπομνήματα of the 2nd century from the early Christian tradition by Hegesippus, and the polemic of the Church historian Eusebius against Porphyry, the most brilliant opponent of Christianity in the ancient world, still existed at the end of the 16th Century in Rodosto, cannot be absolutely denied, given the documents produced by Th. Zahn. His communication must be very appealing to those interested in ancient church history. But the question is whether there has ever existed a collection of Greek manuscripts in Rodosto, and whether it still exists; and so far hardly anyone has come to grips with it. Even R. Förster (p. 10, note 1) says only, that a short time after the composition of that catalogue, the traveler Sponius has seen the city, and for the rest, admits (p. 13): Rhaedesti utrum adhuc bibliotheca extet comperire non potui. Also in the above mentioned Geschichte der altchristlichen Literatur by Harnack and Preuschen vol. 1, p. 985 the name of Rhaedeste is provided with a question mark. I was inclined to take part in answering that question myself, as I had become aware of it just before the publication of Zahn’s article, as part of my studies on the Byzantine chroniclers, by a note of Krumbacher [Geschichte der byzantinischen Literatur, 1891, p. 191] on the publication of R. Förster, and had recognized its value for research into early Christian literature. I tried to learn, from manuscript catalogues and directories of libraries, whether in Rodosto there was once a collection of books, or still is, but in vain. As well as the scientific travelogues available in the local Royal University, through European Turkey, especially Constantinople, together with the neighborhood, I found, apart from Sponius, which also says nothing of a library, Rodosto mentioned in Dallaway (1797, p. 368), Lechevalier (deutsch. 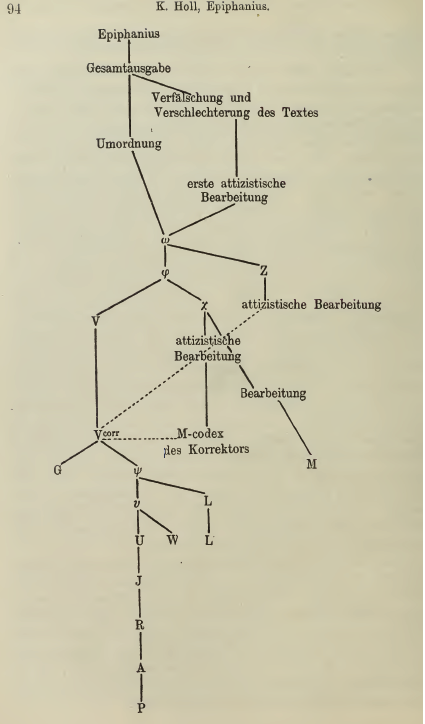 1801, p. 5) von Moltke (1841, p.51) and Boue (1854, I, p. 145). But the brevity of their data shows that these travelers did not have the intention or the time, to carry out an investigation in that humble place about past or present antiquities. I was not surprised, therefore, to find in them no comment on local manuscript treasures, even if such existed in Rodosto. Von Hammer (1818, p. 198-200, see also p. 158) reports some modern inscriptions of the 18th century from the Catholic Church at Rodosto, but nothing more. To obtain the most reliable information about the facts, on 2 December last year I wrote to the Imperial German embassy in Constantinople with a request for a preliminary reconnaissance on whether currently in Rodosto a manuscript collection is preserved, and with the intent, in the case of an affirmative answer, to look on the spot myself for the manuscript of Hegesippus, Eusebius and other important authors given in that catalogue. The Imperial German Legation, in a most helpful manner, which deserves the greatest thanks, undertook to answer my enquiry. In a letter of 3 January this year I received a communication, because of the happenstance that a German consular agency is located in Rodosto, and that the current manager of it, Mr P. Asla, in addition to his specific knowledge of the place and its people, has the necessary education and skill to perform the required job, so the gentleman replied to me himself in French. According to this man, there were, in the local bishop’s residence until 1838, valuable manuscript documents, which had been assembled into a library long before from monastery and private owners by members of a family named Lerei, originating from the island of Leros. But a fire broke out in that year, and the entire collection was destroyed, and such Rodosto manuscripts as remained in the hands of private individuals have already found other buyers. Currently, in Rodosto only a single old manuscript is still available. It belongs to the local Greek club [Σόλλογος], bears neither a date nor the name of the author and is, according to an unnamed Russian archaeologist who studied it several years ago, has geographic / historical content. This certificate of the destruction of the Library of Rodosto can only be read with sadness by theologians and classical philologists. But my investigation is not without positive elements. The credibility of the Vienna catalogue is considerably increased from this. If the list is not an empty collection of book titles, but a real directory of manuscripts, then it is worth while to look more thoroughly into the whereabouts of the other libraries inventorised in it than has yet been done. Das Schicksal der Handschriften in Rodosto bei Konstantinopel. In diesem Blatt, Jahrg. 1893, Nr. 43, hat Th. Zahn einen interessanten Artikel „Der griechische Irenaeus und der ganze Hegesippus im 16. und im 17. Jahrhundert” erscheinen lassen, in welchem er gegenüber einer zweifelnden Bemerkung A. Harnack’s [Geschichte der altchristlichen Literatur bis Eusebius, hrsg. unter Mitwirkung von E. Preuschen von A. Harnack. I. 1893, S. 485] seine frühere Behauptung, dass Hegesipp im 16. Jahrhundert handschriftlich noch existirt habe, wiederholt und durch zum Theil neues Material stützt. Zu seinen Beweisstücken gehört der von K. Förster [De antiquitatibus et libris manuscriptis Constantinopolitanis commentatio. Rostochii, 1877] aus einem Wiener Kodex herausgegebene, zwischen 1565 und 1575 verfasste Katalog von Handschriften, welche sich seiner Zeit in und bei Konstantinopel befunden haben sollen. In diesem liest man nämlich, dass zu den vielen profanen und christlichen Literaturwerken, welche die Bibliothek zu Rodosto beherbergte, jenes wenige Meilen westlich von Byzanz am Marmarameer gelegene Städtchen, das im Alterthum den Namen Rhaedeste führte, auch gehörten: Ἡγησίππω ἱστορία und Εὐσεβίου τοῦ Παμφίλου κατὰ Πορφυρίου.. Die Möglichkeit, dass diese zwei für uns bisher verlorenen Kleinodien der altchristlichen Literatur, die dem 2. Jahrhundert angehörenden 5 Bücher Ὑπομνήματα des noch aus urchristlicher Ueberlieferung schöpfenden Hegesipp und die Streitschrift des Kirchenhistorikers Eusebius gegen Porphyrius, den geistreichsten Gegner des Christenthums in der alten Welt, noch am Ende des 16. Jahrhunderts in Rodosto existirten, lässt sich angesichts des von Th. Zahn beigebrachten Materials schlechterdings nicht bestreiten. Und seine Mittheilung muss auf die Freunde der alten Kirchengeschichte um so reizvoller wirken, als der Frage, ob in Rodosto jemals eine Sammlung griechischer Handschriften existirt hat und noch existirt, bisher schwerlich jemand näher getreten ist. Selbst R. Förster (S. 10, Anmerk. 1) sagt nur, dass kurze Zeit nach der Abfassung jenes Katalogs der Reisende Sponius die Stadt gesehen hat, und gesteht im Uebrigen (S. 13): Rhaedesti utrum adhuc bibliotheca extet comperire non potui. Auch in der oben genannten Geschichte der altchristlichen Literatur von Harnack und Preuschen I, S. 985 gehört Rhaedeste zu den mit einem Fragezeichen versehenen Namen. An der Beantwortung jener Frage mich zu betheiligen, war ich um so geneigter, als ich kurz vor dem Erscheinen des Zahn’schen Artikels bei meinen Studien in den byzantinischen Chronisten durch eine Notiz Krumbacher’s [Geschichte der byzantinischen Literatur. 1891, S. 191] auf die Publikation von R. Förster aufmerksam geworden war und ihren Werth für die Forschung in der altchristlichen Literatur erkannt hatte. Ich habe mich bemüht, aus Handschriftenkatalogen und Bibliothekenverzeichnissen mich darüber zu unterrichten, ob in Rodosto einst eine Büchersammlung war oder noch ist, aber vergeblich. Unter den auf der hiesigen Königl. Universitäts bibliothek vorhandenen wissenschaftlichen Reisebeschreibungen, der europäischen Türkei, speziell Konstantinopels nebst Umgegend fand ich, abgesehen von Sponius, der ebenfalls von einer Bibliothek nichts sagt, bei Dallaway (1797, S. 368), Lechevalier (deutsch. 1801, S. 5), v. Moltke (1841, S. 51) und Boue (1854, I, S. 145) Rodosto erwähnt. Aber die Kürze ihrer Angaben zeigt, dass diese Reisenden nicht die Absicht oder nicht die Zeit gehabt haben, über die an jenem bescheidenen Ort etwa vorhandenen oder vorhanden gewesenen Alterthümer Nachforschungen anzustellen. Ich brauchte mich daher nicht zu wundern, dass ich bei ihnen keine Bemerkung über dortige Handschriftenschätze fand, selbst wenn solche in Rodosto existirten. v. Hammer (1818, S. 198—200, vgl. auch S. 158) theilt zwar einige moderne Inschriften des 18. Jahrhunderts aus der katholischen Kirche zu Rodosto mit, aber eben auch weiter nichts. Um eine möglichst zuverlässige Auskunft über den Thatbestand zu erhalten, wandte ich mich am 2. Dezember vorigen Jahres brieflich an die Kaiserl. deutsche Gesandtschaft in Konstantinopel mit der Bitte um vorläufige Rekognoszirung, ob zur Zeit in Rodosto eine Manuskriptensammlung aufbewahrt liegt, und mit dem Vorsatz, im Falle einer bejahenden Antwort, an Ort und Stelle selbst nach der Handschrift des Hegesipp, Eusebius und anderer in dem genannten Katalog angeführter hervorragender Autoren zu suchen. Die Kaiserl. deutsche Gesandtschaft hat in entgegenkommender Weise, welche den grössten Dank verdient, es sich angelegen sein lassen, mich zu befriedigen. In einem Schreiben von 3. Januar d. J. erhielt ich die Mittheilung von dem glücklichen Umstand, dass in Rodosto sich eine deutsche Konsular-Agentur befindet, sowie dass der jetzige Verwalter derselben, Herr P. Asla, neben genauer Kenntniss des Ortes und seiner Bewohner die nöthige Bildung und Umsicht besitzt, um den gewünschten Auftrag auszuführen, und dazu den französisch geschriebenen Bericht des genannten Herrn selbst. Gemäss demselben haben sich thatsächlich in der dortigen bischöflichen Residenz bis zum Jahre 1838 werthvolle handschriftliche Dokumente befunden, welche vor langer Zeit durch Mitglieder einer von der Insel Leros stammenden Familie Namens Lerei aus den Klöstern und aus den Händen von Privaten zu einer Bibliothek zusammengestellt worden sind. Aber durch eine in dem genannten Jahre ausgebrochene Feuersbrunst ist der ganze Bestand derselben zerstört worden, und der noch etwa in Händen von Privaten verbliebene Rest Rodosto’er Handschriften hat bereits anderweitige Käufer gefunden. Gegenwärtig ist in Rodosto nur noch eine einzige alte Handschrift vorhanden. Sie gehört dem dortigen griechischen Verein [Σόλλογος], trägt weder ein Datum noch den Namen des Verfassers und ist nach Angabe eines ungenannten russischen Archäologen, der sie vor einigen Jahren studirt hat, geographischhistorischen Inhaltes. Mit Bedanern werden die Theologen und klassischen Philologen diese Bescheinigung des Unterganges der Bibliothek von Rodosto lesen. Doch ist meine Nachforschung nicht ganz ohne positiven Gewinn. Denn durch sie wird die Glaubwürdigkeit des Wiener Katalogs erheblich gesteigert. Wenn aber derselbe keine leere Büchertitelsammlung, sondern ein wirkliches Handschriftenverzeichniss ist, dann verlohnt es sich, nach dem Verbleib der übrigen durch ihn inventarisirte’n Bibliotheken noch gründlicher, als es bisher geschehen konnte, zu suchen. At the British Library manuscripts blog, Julian Harrison is paying attention, and well done to him. In response to comments like those here, he’s today posted a list of the 25 newly uploaded manuscripts. Here it is, with extra text by me. Additional MS 4950 – 13th c. Matthew, Mark, a summary of Luke, and a page of stuff from Eusebius on Jesus and the Evangelists “Ex Eusebio Chronicis”. Anyone able to read any of the last? Additional MS 4951 – 13th c. Luke, John, Menologion, plus a colophon. Additional MS 5107 – 1159 AD. Eusebius, letter to Carpianus, with a bit of a canon table, then the 4 gospels. Additional MS 5111 – 6-12th century. Eusebius to Carpianus, canons, plus Matthew and Mark. Additional MS 5112 – 12th c. Luke, John, and 3 leaves of a patristic florilegium. Clearly written, this one! But I can’t make out any names. Additional MS 5117 – 1326-1457. 4 gospels, Eusebius to Carpianus, and a couple of other late things. Additional MS 10057 – 14-16th c. Euripedes!!! — 3 plays: the Hecuba, Orestes, and Phoenissae, plus scholia! Additional MS 11870 – 11th c. Metaphrastes, Saints’ Lives for September. Additional MS 14771 – 10th c. Gregory Nazianzen!!! — a bunch of his orations (1, 45, 44, 41, 21, 15, 38, 43, 39, 40, 11, 14, 42, 16), including the funeral oration for Basil the Great. The ms. starts with a table of contents in red uncial. I was once told such tables of contents were rare! This manuscript once belonged to Niccolo Niccoli in Florence, then to the monastery of St. Mark, where Niccoli’s books went after his death. Evidently someone stole it and sold it on. Additional MS 18231 — 972 AD. Dionysius the Areopagite, Gregory Nazianzen’s orations (again with table of contents): 2, 12, 9, 10, 11, 3, 19, 17, 16, 7, 8, 18, 6, 23, 22, 38, 39, 40, 1, 45, 44, 41, 33 against the Arians, 27 against the Eunomians, 29, 30, 31, 20, 28, 34, 14, 36, 26, 25, 24, 21, 15, 42, 43, 4 & 5 against Julian the Apostate, 37, 13, ; letters 101 and 102 and 202; a couple of Carmina; a vita of Gregory; ps.Nonnus’ Scholia mythologica (I wonder what these are). Additional MS 19387 – 13th c. 4 gospels. Additional MS 20002 – 10th c. Old Testament; Judges, with bits of Joshua and Ruth. This was acquired by Tischendorff from Sinai. Additional MS 21030 – 13th c. Psalter. Acquired in Maloula in Syria. Additional MS 21061 – 15th c. Anastasius the Sinaite on the Hexameron, followed by ps.Caesarius, Quaestiones et Responsiones. Additional MS 21165 – 15th c. Iamblichus! Life of Pythagoras, Protrepicus, De communi mathematica scientia, In Nicomachi arithmeticam introductionem. Additional MS 21261 – 14th c. Gospel lectionary. Additional MS 22733 – 11th c. Metaphrastes, more saints’ lives. Additional MS 22750 – 14th c. Hagiography: “Fragments of sermons and services in honour of the Archangel Michael, including that of Pantaleon the Deacon”, from a burned volume. Additional MS 22909 – 1680 AD. Some very late Byzantine writers. Additional MS 23895 – 16th c. Onasander, Strategicus! Additional MS 23927 – 16th c. Aristotle, Problemata. I was a bit afraid after the opening section that it would all be gospel mss.! But thankfully not — there are some gems in there. But what does smack you in the face is the need for a course in Greek paleography in order to make much of them. Do add that blog to your RSS feeder. They don’t post that often, but all the posts are interesting and useful, and usually illustrated with some precious page image. The library at Meshed / Mashhad in Iran — unknown classical texts! Let me direct you all to the comments on my earlier post about the discovery of some lost portions of Galen’s On my own books here. The material is in Arabic translation, and found in a manuscript in Iran, at the library of Meshed. I’d never heard of it! A commenter has dug into the question and produced gold! It seems that there are other unpublished texts there, including a mathematical commentary by Hypatia on Diophantus. The library is now in a brand new building as well and has a website. If you know Arabic and want to discover new classical texts, you need to visit Meshed / Mashhad. Posted in Arabic Christian Literature, Information access, ManuscriptsTagged Arabic texts, Manuscripts8 Comments on The library at Meshed / Mashhad in Iran — unknown classical texts! How long were ancient manuscripts used? An interesting but unsatisfying post at Ben Witherington, actually by Larry Hurtado: How long were ancient manuscripts used? George W. Houston, “Papyrological Evidence for Book Collections and Libraries in the Roman Empire,” in Ancient Literacies: The Culture of Reading in Greece and Rome, ed. William A. Johnson and Holt N. Parker (Oxford/New York: Oxford University Press, 2009), 233-67. One matter Houston addresses is how long manuscripts appear to have been in use. On the basis of manuscripts from Oxyrhynchus and from Herculaneum in particular, Houston notes numerous examples of manuscripts discarded when they were ca. 2-3 centuries old. Overall, he judges that the evidence indicates “a useful life of between one hundred and two hundred years for a majority of the volumes, with a significant minority lasting two hundred years or more” (p. 251). And, as he notes, the evidence from Qumran leads to a similar view. This would tally with the sort of evidence we get in Aulus Gellius, of manuscripts of the time of Cicero or Vergil being available. A set of literary testimonia would be useful, I think. I’ve found the book, and the article appears to be a very useful one, packed full of data and intelligently analysed. H/t Jim Davila at Paleojudaica. Posted in Manuscripts, Other blogsTagged Manuscripts, Other blogsLeave a Comment on How long were ancient manuscripts used? Quite by chance, I came across a PhD thesis online from 2006,1 which contained a rather interesting discussion of the sources for the ancient alchemical writer, Zosimus of Panopolis. A few notes from this may be of general interest. Alchemy is usually defined as the attempt to transmute base metals into gold, and the methods adopted led into the creation of modern Chemistry. It seems to have originated in Graeco-Egyptian circles around the time of Christ, among metallurgists and dyers and jewellers and artisans whose crafts involved colouring things like metal and gemstones. The texts are in Greek. Leyden papyrus X and the Stockolm papyrus, from the Theban hoard of Greek magical texts found by Jean d’Anastasi before the 1820’s, are 3rd century and among the earliest examples. The techniques go back much further; but what is distinctive is the pagan religious element, including Jewish and gnostic material. The religious language and imagery is very much a part of alchemy as a discipline. The modern science of chemistry became definitely a separate entity during the 18th century, and consequently whatever survives of alchemy today forms part of occult literature. With this we are not, of course, concerned. Florence, Laurentianus graecus 86, 16 (fifteenth century). This material was translated by Berthelot and Ruelle in 1888 as the Collection des Alchimistes Grecs, which I found at Archive.org here (vol. 1) and here (vols.2 and 3). British Library, Oriental 1593 (fifteenth or sixteenth century). These were collected by Berthelot, translated into French by R. Duval, and published in 1893 in a three volume series entitled La Chimie au Moyen Age. The Syriac material is different from that in Greek, and contains material now extant in Greek only in abbreviated form. The Arabic and Latin manuscripts only contain a few pages of his work. But the Arabic mss., which date from the 13-15th century, do contain a list of all his works, most of which are now lost. The Latin mss. contain extracts from the Chapters to Eusebia which are also found in Greek. Sadly I fear that all this literature is quite dull! 1. Shannon L. Grimes, Zosimus of Panopolis: Alchemy, Nature and Religion in Late Antiquity, Diss. Syracuse University 2006. 2. Michèle Mertens, Zosime de Panopolis: Mémoires authentiques, Les Alchimistes Grecs, Tome IV, 1re partie (Paris: Les Belles Lettres, 1995), xii-cxii. Felling rather lighter in heart, I spent this evening creating a Wikipedia article for Leyden papyrus X. This is an alchemical papyrus codex of 20 leaves, dating from around 300 AD or just before, and dedicated to metalurgy. It came out of Luxor in Egypt, or rather, out of Thebes. It’s written in Greek with some demotic, and in the same hand as the so-called Stockholm papyrus, which contains recipes for dyes and stains to make metals look like gold or silver. The history of these manuscripts is interesting. In the early 19th century, there was an Armenian adventurer at the Khedevial court in Alexandria. His true name is unknown, but he called himself Jean d’Anastasi or d’Anastasy. This was not long after Napoleon’s adventure in Egypt, and the rout of the Mamelukes by the French was perhaps still fresh in the minds of the Egyptians. A French name he had, anyway. Egypt at that period was still part of the Ottoman empire. When that empire had been at its height, it had issued various legal concessions to westerners, giving immunities from the corrupt attentions of Ottoman officials, and the arbitrary and objectionable taxes and customs and simple robberies involved in being an Ottoman subject. In consequence many nations employed local people as consular representatives, and such roles were sought out for the same reasons. This d’Anastasi, at all events, obtained credentials as the Swedish vice-consul, a role that doubtless involved him in much activity on his own behalf in the name of the King of Sweden, and found him very little inconvenienced by any Swedish travellers in that period. Such “consuls” were keenly interested in the antiquities trade. The discovery of ancient Egypt by Napoleon, and the savants with whom he travelled, had created a market for such things. The decypherment of the hieroglyphics was underway, and papyri were much sought-after. Several decades later, Amelia Edwards in her A thousand miles up the Nile records her own interest in buying such a thing. It seems that d’Anastasi, as we may as well call him, got lucky. His agents told him of a ‘find’. In Luxor, in the ruins of Thebes of the Hundred Gates, someone discovered the tomb of a Greco-Egyptian priest, who had interests in magic and alchemy, and had taken his precious codices to the grave with him. D’Anastasi acquired them, doubtless for money. In 1828 he came back to Europe, and disposed of the lot in a series of sales, mostly to European governments. These were keen to acquire them; but such low-grade literature was of little interest to scholars mainly interested in the Greek classics. Publication with Latin translation took most of the century, and translation into English is only partial even now. I have no list of d’Anastasi’s collection. A study of his life and times and, above all, of his collection of papyri and their modern whereabouts and contents, is one that a scholar would be well advised to undertake. It is likely that much has escaped the attention of scholars, because of the dispersal of the collection. But let us return to our priest. A scholar he was, for his interests were antiquarian. Whether he was a practising magician we do not know. He knew both Greek and Demotic, and there is writing in Old Coptic, so he was certainly a native Egyptian. The material at his disposal was heavily influenced by ancient Egyptian magic, and also by Jewish magicians — for whom Moses was a name of power — and even elements from Christian sources. All was grist, if it “did the trick”. We do not know his name. It’s probably written on the walls of his robbed-out tomb, if that still exists and was not destroyed for lime and raw stones. So much was destroyed, after all. Flinders Petrie, the founder of scientific archaeology, was horrified at how everything was just being destroyed all around him. The great temple of Horus at Armant was blown up with gun-powder by “a rascally Italian” to furnish stone for a sugar factory — there is a drawing of it in the Description de l’Egypte of Napoleon’s day, and little else now. But whoever our priest was, he upheld the reputation of the Egyptians as great magicians. The texts he assembled have reached us. The Luxor find is little known, but it once again highlights just how many books there are in the sands of Egypt. Revised and corrected from the copy of the books of Origen himself. This is quite a statement, in a manuscript of the 7th century. Presumably this means at Caesarea, where Origen’s library ended up. One interesting feature of this papyrus is that two readings are given in some cases. The editor of the papyrus, Scherer, suggests that this is because the ancient editor — presumably at Caesarea — found two readings in his sources. In other words … we have indications of an ancient edition with a critical apparatus. More interesting still, the two-fold reading makes its way even to the 13th century codex of Contra Celsum. We’re all familiar with the colophons in biblical mss recording the editorial work of Pamphilus. It’s interesting to see evidence of the same activity on other works being copied.